Soprano BY PEACOCK ALLEY-Single-row embroidered satin stitch on hem. This is a beautiful sheet! 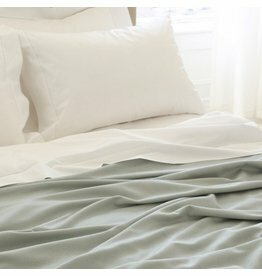 DREAM MODALThis irresistible home essential is unmatched in its softness--woven in Switzerland from truly breathable cotton and modal--it becomes necessary for year-round comfort. MILAGROMatouk’s best-selling towel and a miraculous addition to the bath experience–the Milagro collection is woven from luxurious long-staple cotton “zero-twist” yarns, resulting in an incredibly lightweight towel that still feels thick and plush. After a long day of exploring Jackson Hole, there's nothing like crashing on a comfortable bed, complete with linen sheets and an organic mattress. 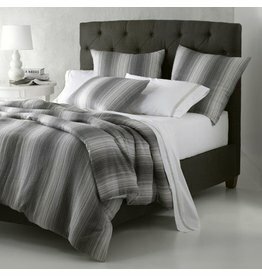 Craft the perfect bedroom setting with help from Linen Alley, a trusted bed and bath provider. Whether your idea of a dream home includes a Tempur-Pedic mattress or a plush set of bath towels, you'll love the selection of cozy, yet stylish bed and bath products at Jackson Hole's Linen Alley. A high-quality mattress is key to a good night's sleep -- and Linen Alley provides only the best mattresses for the residents of Jackson Hole. You will experience the epitome of bedtime luxury when you sleep on one of the Beautyrest mattress options from Linen Alley. Top mattresses from Beautyrest include the Encino and the Mariela, both of which are known for their advanced mattress technology. Linen Alley also offers Tempur-Pedic mattresses, which provide the ultimate in body support and pain relief. A good mattress is essential, of course, but that alone cannot ensure a restful night's sleep. It's also important to invest in high-quality sheets and bedding. Peacock Alley sheets and blankets provide the perfect mix of style and comfort. Other options include bedding products from Rio, Lucerne, and Matouk. Linen Alley's style and practicality extends beyond the bedroom to include a wide range of bathroom products. From bath towels to soap sets, all the essentials for a comfortable, yet sophisticated bathroom are provided. From hiking to shopping, there are many things to do in Jackson Hole -- but no matter how you spend your free time, you'll need to recharge on a comfortable bed before you tackle the region's finest attractions. Don't settle for just any mattress or bedding set during your next Jackson Hole shopping trip; opt for the high-quality bed and bath products from Linen Alley.